How I Used & Abused My Tesla — What a Tesla looks like after 100,000 Miles, a 48 State Road trip, 500 Uber Rides, 20 Rentals & 2 AirBnB sleepovers. Most $100,000 cars are babied by their owners. Never taken out except on a warm Sunday. Garaged and kept with extremely low mileage. Only driven by the owner, not even allowed to be driven by a spouse, much less a stranger. I’ve worked that thing like a rented freaking mule. So, you ask, how did the Tesla hold up? What’s it actually look like now? What are the exact operating costs, repair numbers and dollars spent & earned on this car over the 2 years of ownership? Read on to find out all the gory details…and the photos to prove it. 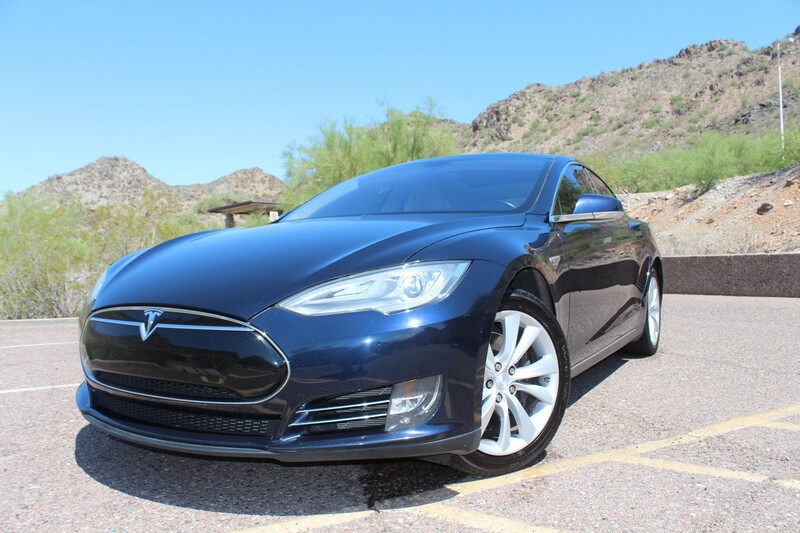 It all started on August 27th, 2014 when I purchased my Blue Tesla Model S P85. I bought it used with 35,000 miles from a local Phoenix owner for $79,000. It originally sold for well over $100K when new. 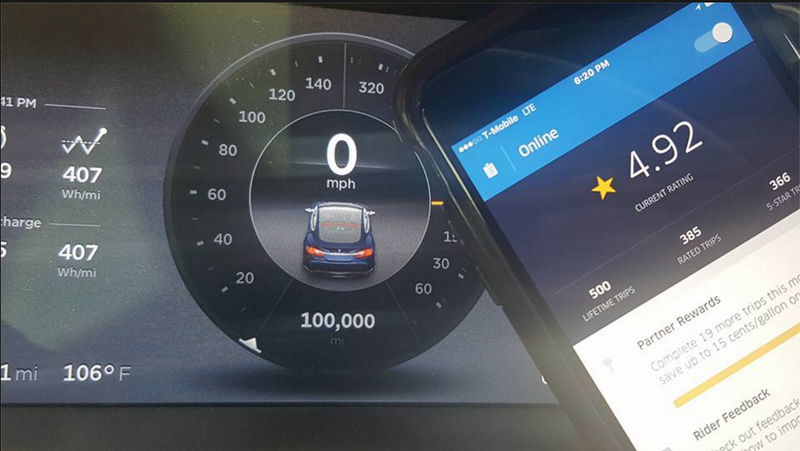 In just under 2 years, on August 16th 2016, I reached dual milestones: 100,000 Miles and 500 Uber Rides. I ended up getting commercial insurance as I wanted to do UberBlack, the high end service. However, I didn’t actually get activated on Black for another 5 months as there was a waiting list in Phoenix. 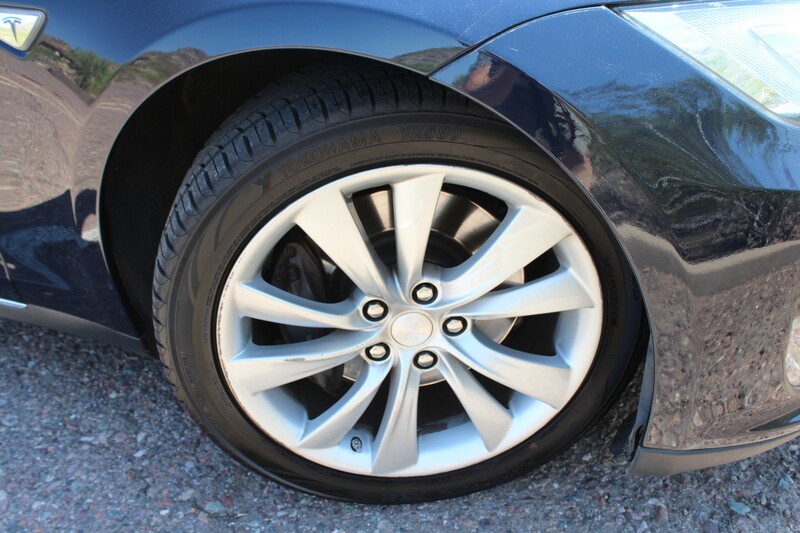 My first UberBlack ride was worth the wait: It was during the SuperBowl in Phoenix, and it was a ride that cost $305 of which I made $225. During the same SuperBowl week, something crazy happened. My Tesla was getting world wide press. Oh, just this little story about how I rented out my Tesla as “The World’s Fastest Hotel” on AirBnb. The story went completely viral as it was on CNN, CBS, ABC World News Tonight, and more blogs than I could count. 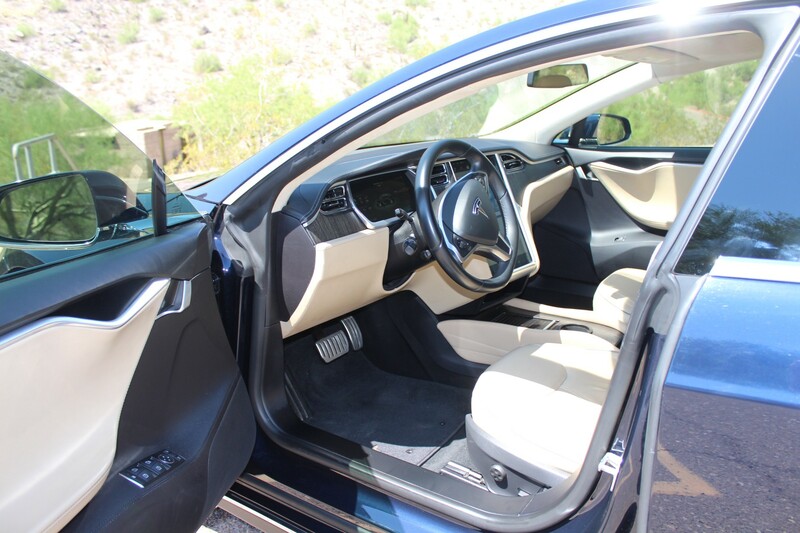 And yes, while I turned down several potential renters I did have 2 automotive reporters pay $85 & $385 (after I upped the price hoping to discourage more guests) to sleep in my Tesla as it was parked in my garage. A real business idea? Ummm, that would be a big fat NO. 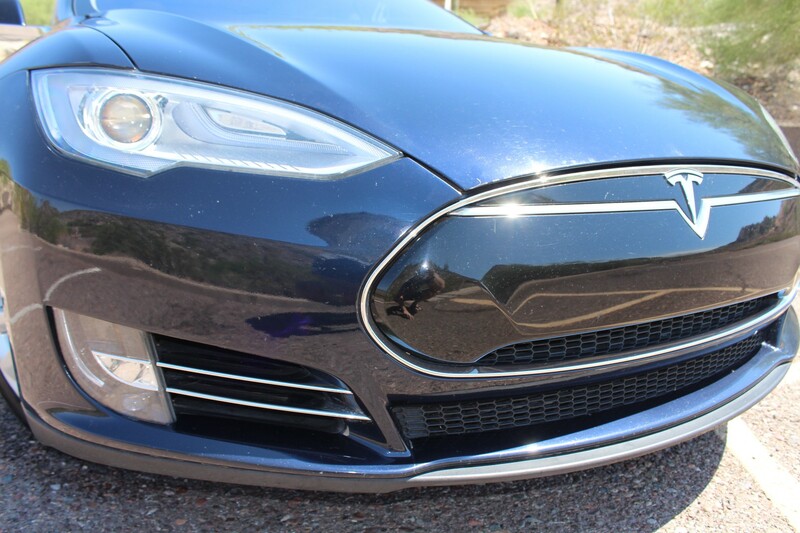 That media frenzy is what inspired my next Tesla adventure, the admittedly poorly named “Million Dollar Tesla Trip”. It was a 4.5 month, 27,615 mile journey across all 48 States plus Canada where I video interviewed interesting & inspiring people in the Tesla as we drove across the country. Interviewees ranged from founders of incredible charities, to the former Driver for Martin Luther King, several authors, lots of fellow Tesla owners, and another cross country road tripper who was volunteering with 50 youth organizations in all 50 States. It became the longest continuous road trip in an electric vehicle (unofficially) and I was the first Tesla owner to visit 200 SuperChargers. 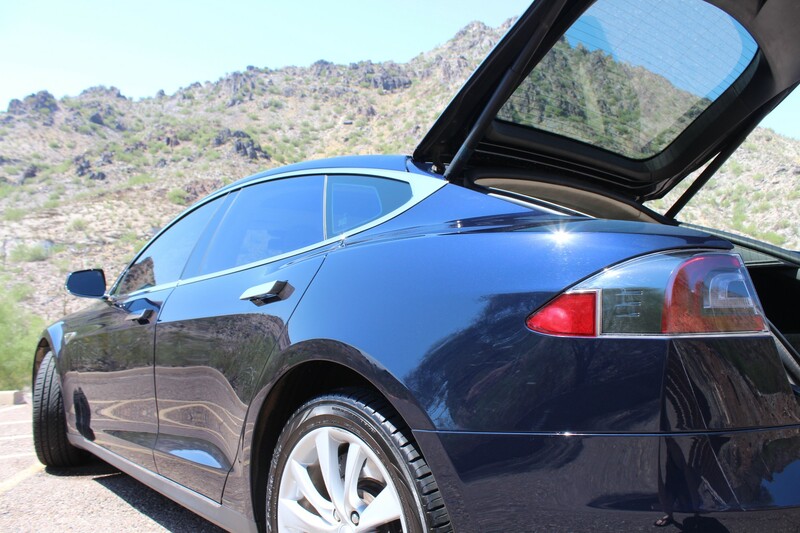 Read about my Top 11 Tips for Road Tripping in a Tesla. 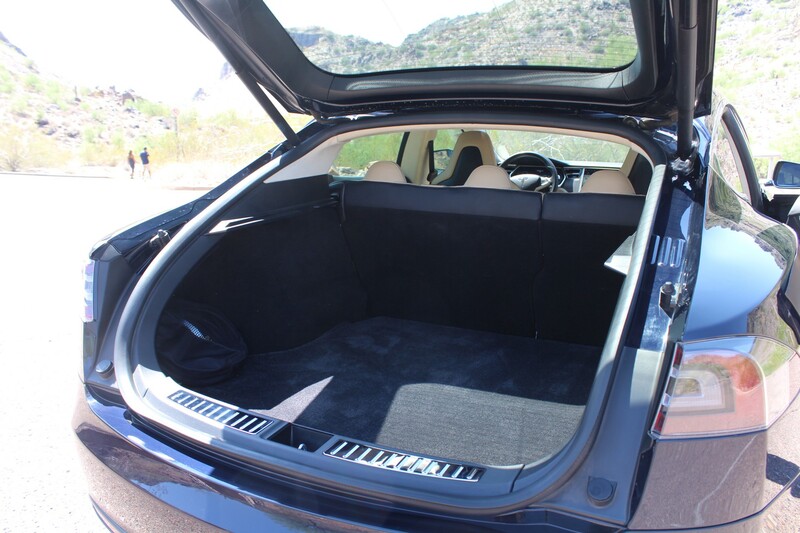 After completing the massive road trip, I started renting my Tesla out on Turo.com, the “AirBnB for Cars” in October of 2015. Since my job is renting out Vacation Rentals, it wasn’t much of a stretch for me to rent out my Tesla. Turo provides the match-making service as well as insurance, so it’s worth their 25% cut. Since I ditched my commercial insurance before the trip and wasn’t too excited about the low UberX rates, I didn’t restart driving for Uber till July of this year. I’m able to do UberX, the cheapest service, along with Select which is reserved for nicer cars and is about 2X the price although only about 1 in 15 rides is Select. Once I started though, it’s become somewhat addicting, but the beauty is I can quit or slow down any time. Uber’s prices are so low, it really doesn’t pay to drive for Uber in an expensive vehicle especially if earning an income is your only goal. 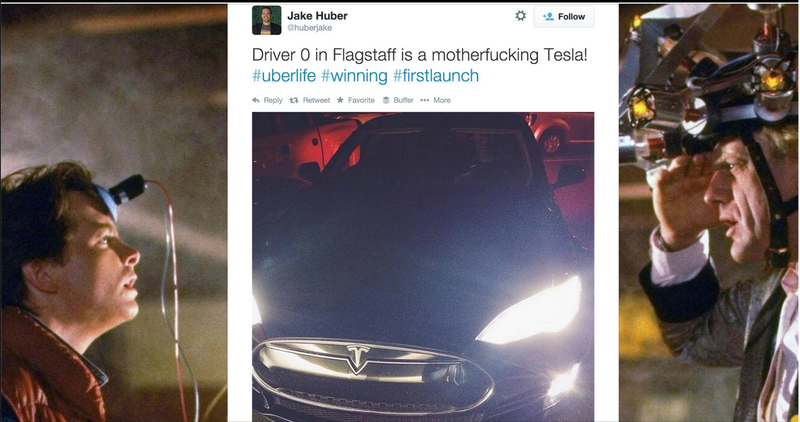 Personally, I wouldn’t Uber in any car besides a Tesla. I do it for several reasons: a great excuse to drive more, sharing the Tesla experience, and it’s fun meeting the mostly cool passengers. If you use it smartly, it can be a lot of fun, and slightly profitable. There is no better way an individual owner can help Tesla achieve its mission “To Accelerate the Advent of Sustainable Transport” than to drive for Uber or Lyft. One of the ways to Uber with very little time investment is to use Uber’s commute option where it only offers you riders going your same direction. This way you are paid for going where you were going already. Make someone smile while making some lunch money. Not too bad. Brakes? Nope. The regenerative braking does 95% of the work and recharges my battery at the same time. Total Maintenance + Repairs = $3800. 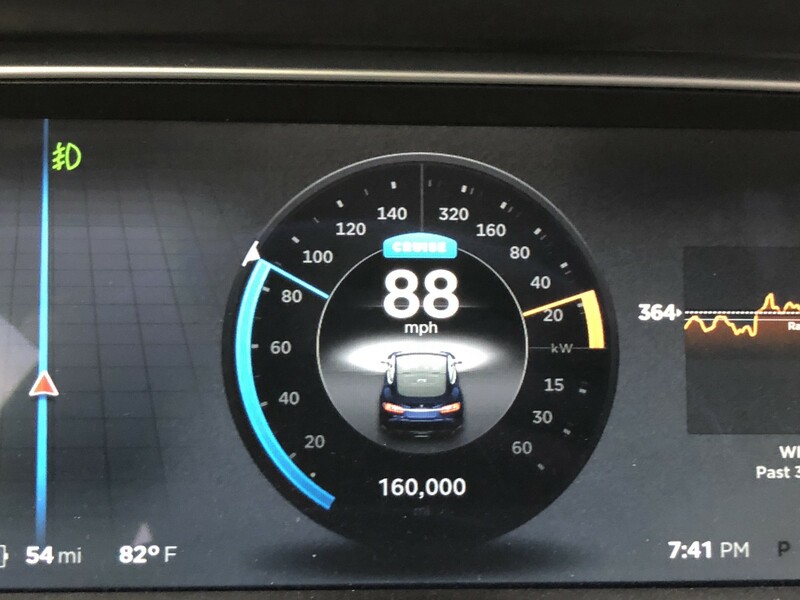 Keep in mind, 65,000 miles is 5 years of “normal” driving at 13,000 a year. I’d love to hear about any other $100K car go that far (with 50,000 miles out of warranty) and cost less than $4000 ALL IN? Oh, and I’ve probably spent less than $1,000 on electricity as well. Uber — 500 Rides totaling $6,142.47 in 9 active months = $682 average per month. Less than 1 month was on UberBlack. Most of it was on UberX & Select. Turo — 20 Rentals totaling $6652.25 in 11 months = $604 average per mo. Tesla Road Trip Savings: My 27,615 mile (the circumference of the Earth is 24,901 miles) 48 State plus Canada road trip cost $8.37. I had to pay for electricity 2 times, the rest was FREE thanks to the Tesla SuperCharger network. There were about 180 SuperChargers when I started the trip. There are now almost 300 in the USA. Gas savings assuming a 25 MPG car using a national average of $2.75 a gallon = $3037. 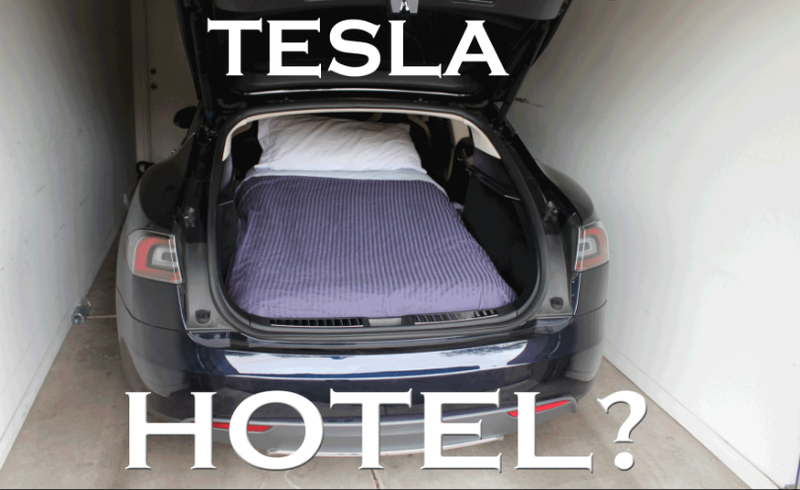 I also used the “Tesla Hotel” about 20 times out of the 132 nights on the road since the Tesla allows you to run the A/C or heat all night with no issues. With an average hotel cost of $75, this saved me $1500. Total Road Trip Savings of just over $4500. Should I have purchased the Extended Warranty? As 50,000 miles approached, I had to decide whether or not to purchase the Tesla Extended Warranty for $4000. This would extend the regular warranty to 100,000 miles. My choice? I was confident in the Tesla so I rolled the dice. No warranty for me. As I hit 100,000 miles, I finally found out if I had made the right decision. As noted above I spent $1500 out of pocket versus $4000 on the warranty so I made out by $2500. 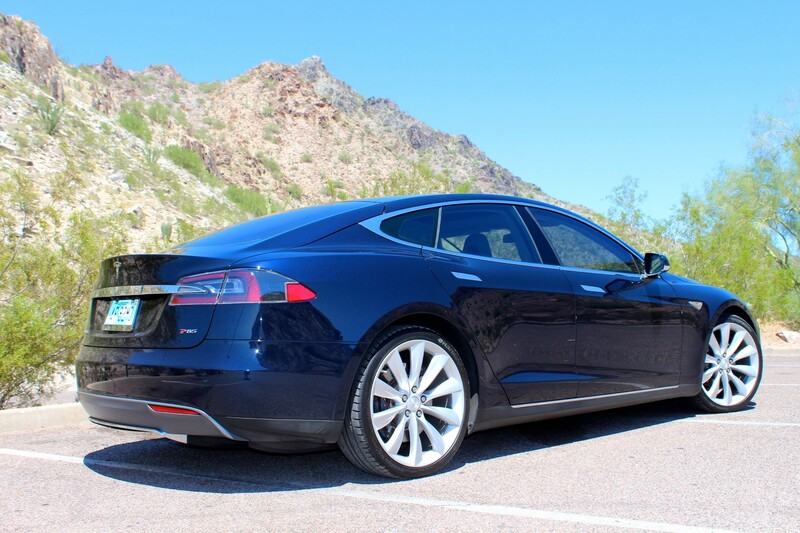 Tesla also has an 8 year, unlimited mileage warranty for the Drive Train & Battery. This was great, as I did have the drive train replaced at about 65,000 miles and the battery replaced at about 76,000 miles. Tesla service was beyond fantastic in dealing with both issues and I was on my way with zero out of pocket cost. The moral of the story? 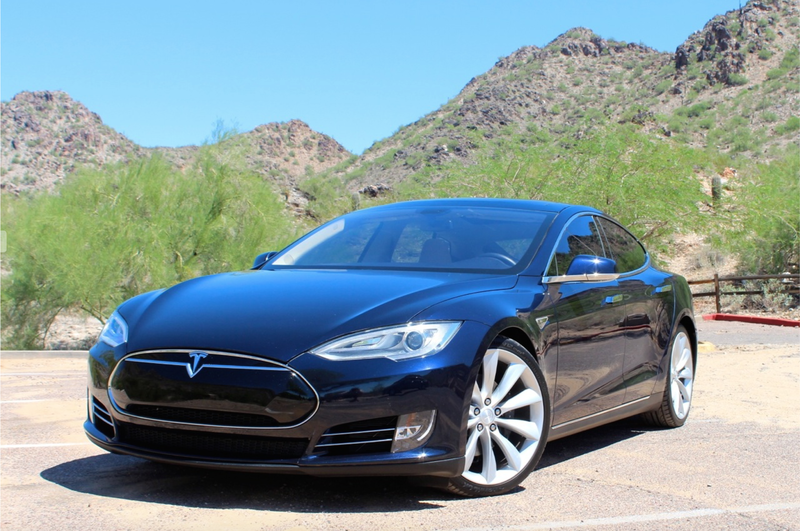 The Tesla isn’t a typical prissy $100,000 car. It’s meant to be driven, and driven hard. It’s not just a daily driver, it’s a high performance yet practical and extremely safe car. It’s better than a traditional car in so many categories it’s fall down funny. So, you want to see the 100,000 mile photos?? In my opinion, the Tesla has held up very well. Most of my Uber riders are very surprised when I tell them the car is almost 4 years old. Yes, there are a few more minor blemishes on the paint, but nothing out of the ordinary for 100,000 miles. 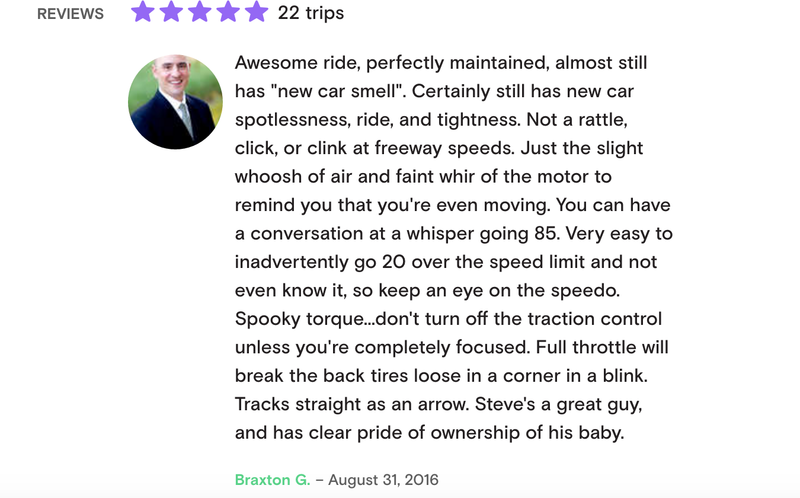 I really don’t think you could tell any difference between my car and any other with similar milage even though I’ve given 500 Uber rides and rented the car out 20 times to complete strangers on Turo. I implore any Tesla owner to throw out any notions of keeping your Tesla to yourself because you are worried you will ruin the car. Share the hell out of it! Sign up for Uber or Lyft and give people rides. Trust me, their reactions alone are worth it when they hop in your Tesla. Let others get a taste and they will soon realize what we already know. Let’s help spread the word about these world changing cars. My experience should prove that your car can take all the abuse you can dish out and then some. I think even Tesla fans and industry analysts are massively underestimating what Tesla will do in the next few years with the cheaper Model 3 that should be fully autonomous shortly after it’s released. 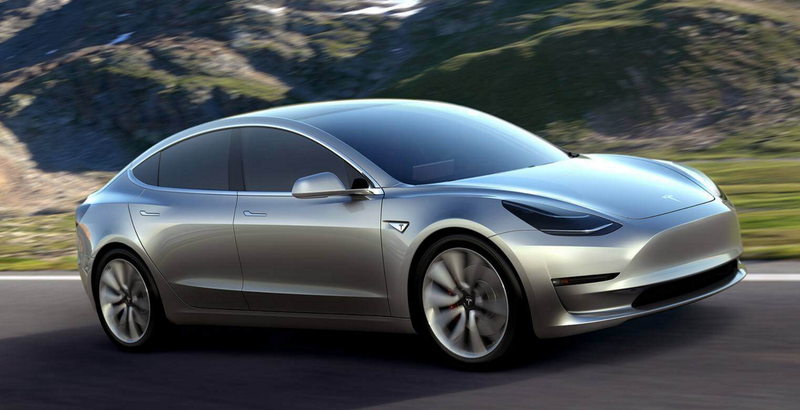 I think Tesla could sell 1 to 2 million units a year by 2020. To clarify, I believe the demand for that volume will be there, but the hard part is being able to ramp up production that fast. Odds say that will be tough to pull off. However, once people realize they can pay $35,000 for a killer car that can earn them $30,000 in a year by simply pressing a button and telling your car to go pick up passengers for you while you work or sleep — it’s game over. Wait, a car that makes me money? Wait, a car that can drive me across the state for free, while I sleep or get work done? It can autopilot me through stop and go traffic, but I can drive it like Mario Andretti on the weekends? Not only will this affect car sales, but airlines will see more people shifting to driving vs flying and it will even make not owning a car more practical. This, along with many other ripple effects we are not even thinking about yet. Bring on the disruption. It’s coming and coming fast. Just like a Tesla. Now I’m at 115,000 miles and still going strong! No new issues to report. Also, while I didn’t include my Tesla Referral Code in the original article as it wasn’t the reason I wrote it, I have heard of several people who bought the car as a result of reading this. Obviously, I wouldn’t want any potential owners to miss out on the Free Lifetime SuperCharging by using my Referral Code. Either use this code http://TeslaRenter.com/Save to order online. 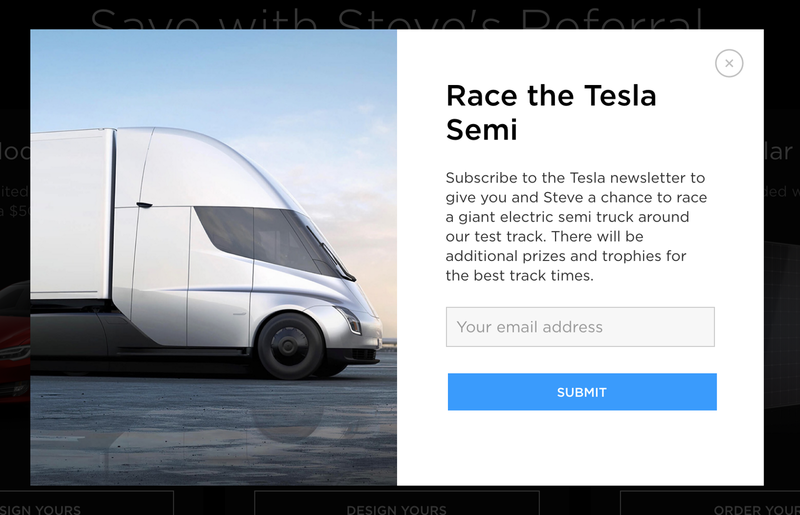 For a limited time, you will also get a chance to RACE ME in the TESLA SEMI if you sign up for the Tesla Newsletter at the above link. 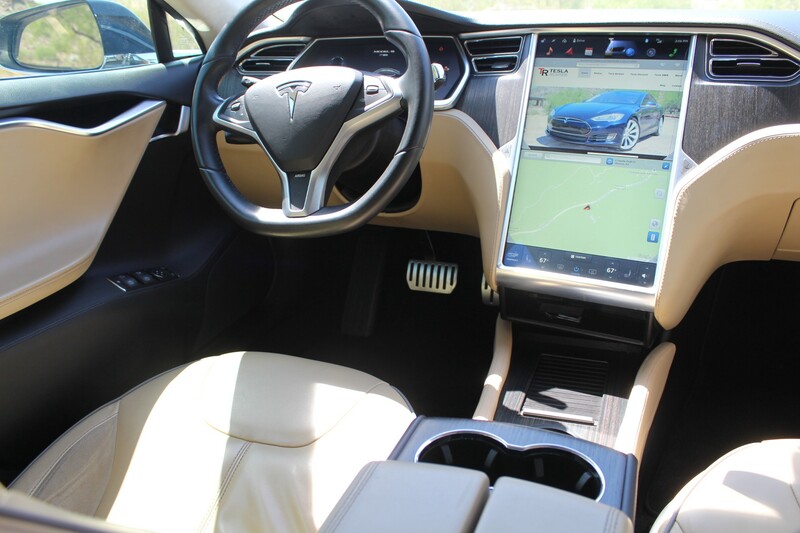 This will give you Free SuperCharging for Life on any new or inventory Tesla. Not valid on pre-owned Tesla’s however. I’ve now crossed the 130,000 mile barrier…equal to almost 9 years of “normal driving”. No other issues to report other than replacing the rotors and brakes at 130K for the very first time for about $750. Keep in mind, on a normal car, this would have been my second or third replacement set. This is due to the regenerative braking doing most of the work (and charging your battery at the same time). The Tesla is showing no signs letting up anytime soon! I just past 160,000 Miles the first week of 48 State Road Trip #2! I’m touring the USA going to ALL 108 Tesla Stores promoting the fact you can travel for FREE in a Tesla with a referral from an owner like me. However, the “Free SuperCharging for LIFE” offer ends September 15th 2018! After that it goes down to free SuperCharging for the 1st year of ownership. Since I will be visiting all 108 Tesla Stores, I strongly encourage anyone to meet me at the stores (or a SuperCharger along the way) and check out what a Tesla looks like (and drives like if you want!) after 160,000+ miles! Check out my blog TeslaRenter.com, the TeslaRenter Facebook Page for the current schedule! Follow on Instagram & YouTube for more unique road trip content as well!